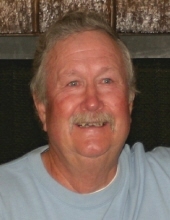 Torrey, Utah - Joseph Victor Fortner passed away peacefully at his home in Torrey Utah on January 31, 2019 at the age of 83. He was born June 16, 1935 in Lyman, Utah to Victor Bryan and Sarah Eleanor Fortner. He Married Marrion Raemond Harvey October 22, 1953 in Midvale Utah. They were sealed in the Salt Lake City LDS Temple of the Church of Jesus Christ of Latter-Day Saints January 13, 1962. They were blessed with 4 children; Joseph, Kim, Cindy and Colleen. Marrion preceded him in death on October 24, 2014. Joe and Marrion lived and raised their children in Salt Lake City, Utah then in 1993 moved and eventually retired in Torrey Utah. Dad served in the National Guard and was honorably discharged in 1961. Joe was a talented and master craftsman and has built many beautiful homes; bringing others dreams to life. As a young man dad enjoyed hunting, camping, fishing, 4 wheeling, hiking, and anything outdoors. As he aged, dad's priority became family and friends. Dad valued the connections he shared individually with each of them, he loved spending time with his family especially his grandkids, and socializing with friends. Joe is survived by his children: Joseph Fortner, Kim and Gloria Fortner, Cindy and Chad Moon, Colleen and Bill Dudleston; grandchildren: Jennifer (Jeff) Hall, Shannon (Scott) Bell, Jessie Fortner, Cassadie Fortner, Kelsie (Howard)Leonhardt, Ashton Fortner, Kyle Fortner, Michael(Tamra) Moon, Amanda (Dallas) Whittington, Bill (Melissa) Dudleston, Dezy (Ryan) Zohner, Joshua Dudleston; great-grand children: Ethan, Chole, Asher, Kai, Hallie, Victoria, Adrianna, Marshall, Gracelyn, Laney, Serina, Sadie, Drake, and Taylor; one brother: Kenneth and Carolyn Fortner. Joe is preceded in death by his wife Marrion; his grandsons: Danny and Jeremiah Dudleston as well as his parents: Victor & Eleanor, and two siblings: Melvin and Lavern. Funeral services will be held on Saturday, February 16, 2019 at 11:00 A.M. at the Saddlery Club, 450 West Main Street in Torrey, Utah where friends may call for viewing one hour prior to the services. Burial with military honors accorded by the Harold Brown American Legion Post #92 and the Utah Honor Guard will be in the Fremont Cemetery under the care of the Springer Turner Funeral Home of Richfield and Salina, Utah. Lunch will be provided by the LDS church at the Torrey LDS Ward Cultural Hall following the graveside service. To send flowers or a remembrance gift to the family of Joseph Victor Fortner, please visit our Tribute Store. "Email Address" would like to share the life celebration of Joseph Victor Fortner. Click on the "link" to go to share a favorite memory or leave a condolence message for the family.